Introducing a new and innovative colorless fish oil supplement that is more pure and clean than typical fish oil. Doctor's Best unique fish oil will benefit the millions of fish oil users looking for a pure, clear, and clean source of omega-3 fatty acids. 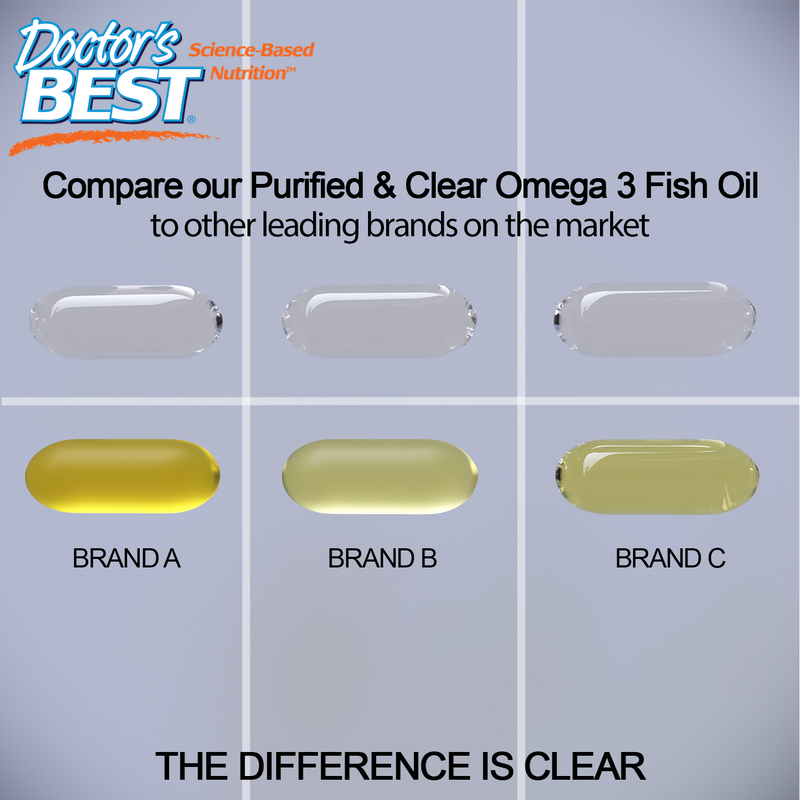 Doctor’s Best Inc., Science-Based Nutrition™, announced today the release of its new Purified & Clear Omega 3 Fish Oil. Doctor’s Best Purified and Clear Omega 3 Fish Oil is highly refined and sustainably-sourced from the richest anchovy fishing grounds in the world, the South Pacific Ocean. This unique fish oil is locally processed using a patented purification system that provides a crystal-clear oil. This visually purified and clean marine softgel contains 800 mg of EPA and 400 mg of DHA. These fatty acids help improve blood flow and cardiovascular health, while supporting important brain functions, memory retention, learning, and concentration. 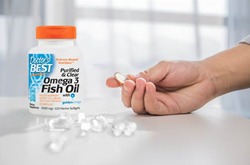 “This unique fish oil will benefit the millions of fish oil users looking for a pure, clear, and clean source of omega-3 fatty acids,” said Bill Damiano, VP of Sales. Doctor’s Best Purified and Clear Omega 3 Fish Oil is made with Golden Omega 100% Anchovy Fish Oil which has been clinically studied to ensure efficacy and potency. Doctor’s Best Purified and Clear Omega 3 Fish Oil is now available for sale to the public. Please visit http://www.drbvitamins.com for retailers stocking this product. Founded in 1990, Doctor’s Best is a science-based nutritional supplement company, offering more than 200 products, most made with branded ingredients, that are thoroughly researched and tested to the highest quality standards. For more information, contact 1-800-777-2474.